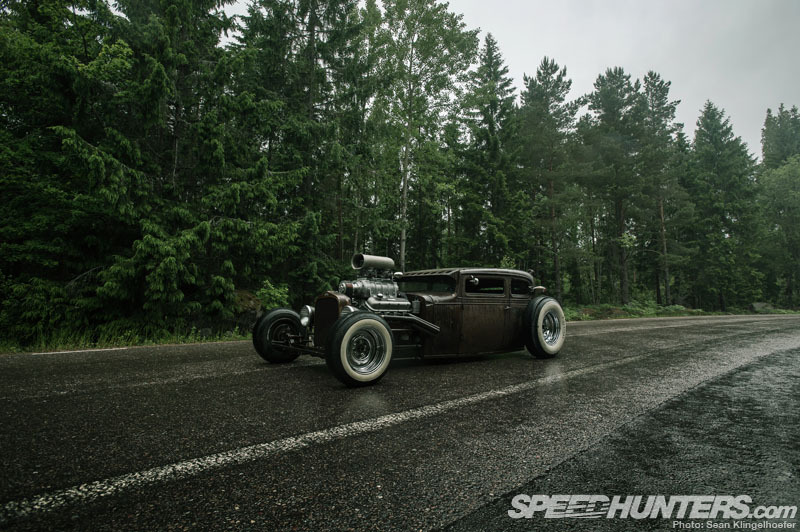 We Speedhunters go to great lengths to make sure everything is absolutely perfect for a photoshoot, but try as we might the one thing we can’t control is the weather. 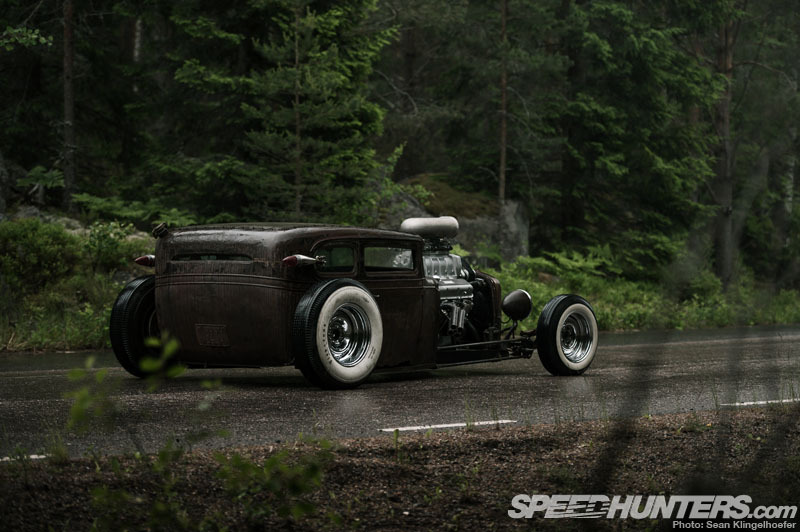 Case in point – Sean’s recent photo session in Sweden with this slammed ’31 Chevy. If I had to choose a photoshoot to get rained out though, this would have to be it. 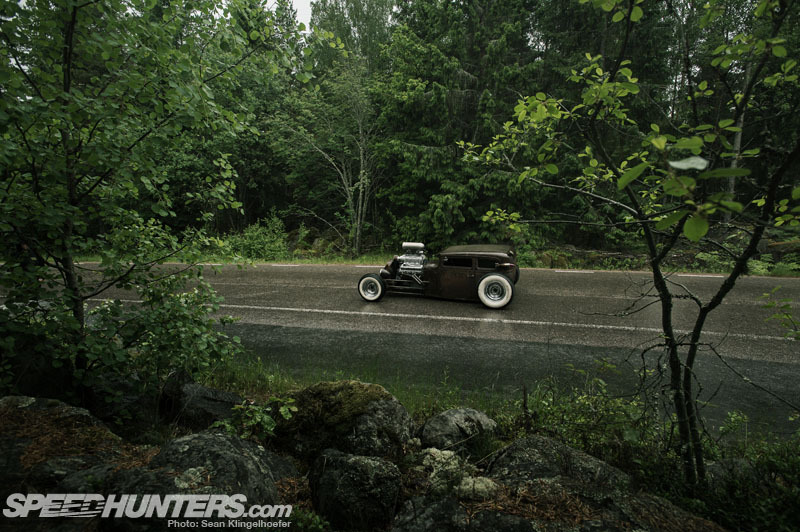 How serendipitous that the skies opened up the instant we pointed a camera at a car called Rusty Demon, right? 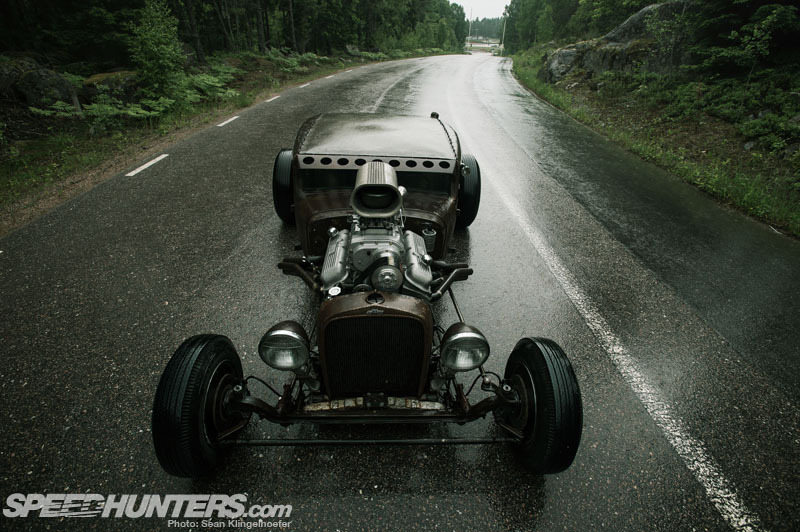 Owner/builder Emanuel Sandén wasn’t bothered by the rain one bit, since the body for his creation was literally dragged from the bottom of a swamp. 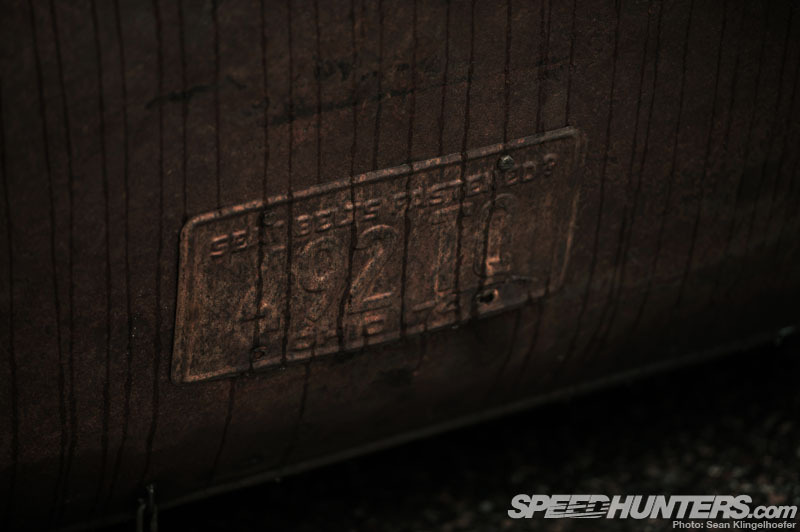 That’s real patina, not something faked in the name of style. 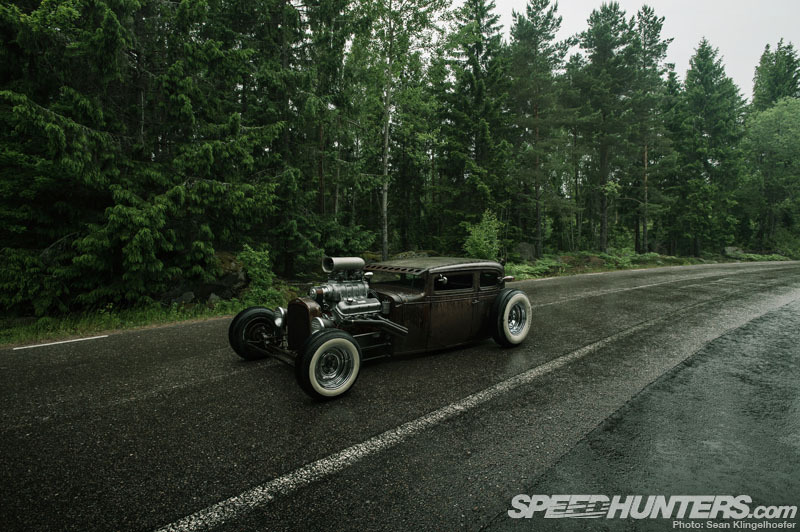 He’s quick to point out that he wasn’t trying to build a rat rod, in fact this car was finished before anyone in Sweden had begun building such creations. 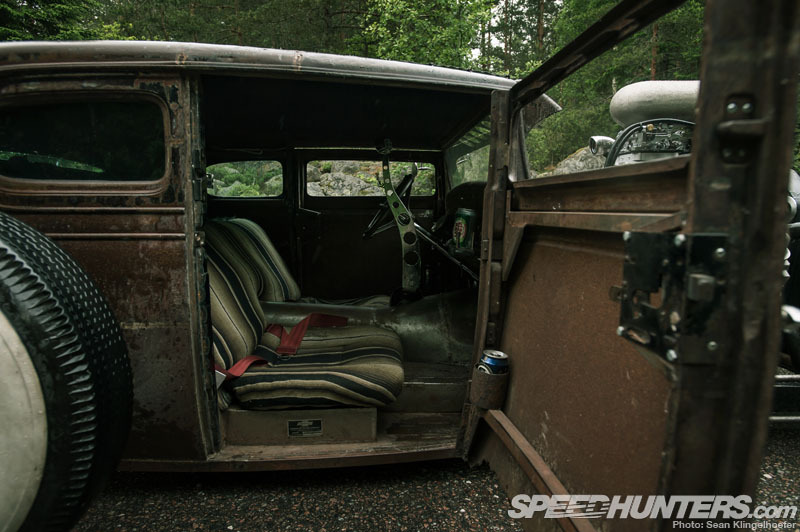 Emanuel says: “This is a hot rod, it just happens to be brown – all natural.” Much like his lowrider El Plymo, this patina has been earned and can’t be reproduced, so it’s here to stay. I’m starting to think Emanuel has a knack for finding special cars to build. 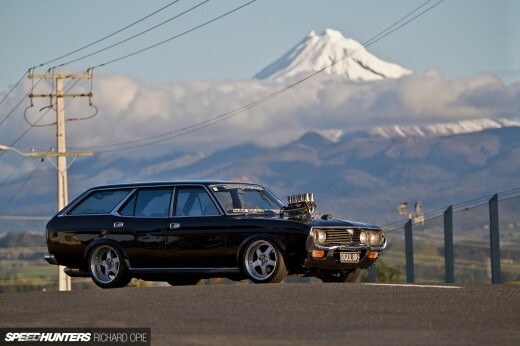 … especially considering this one is gas-fed rather than diesel powered. Surely a more traditional approach, but with equally enormous power. 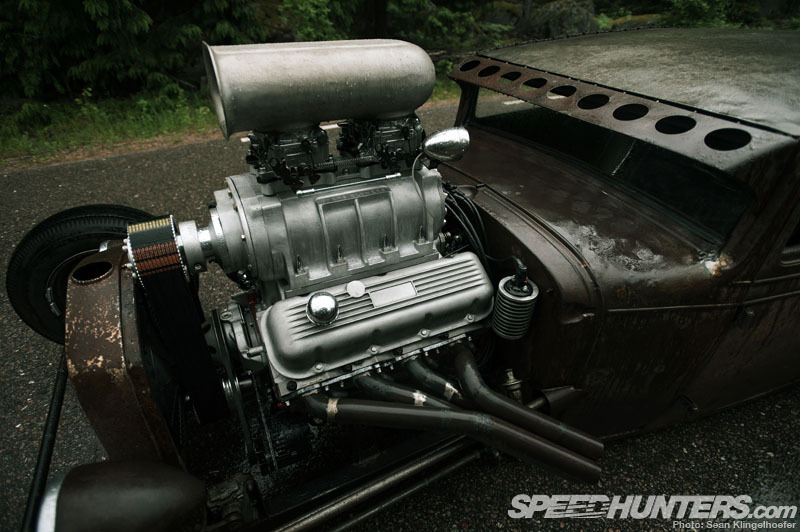 … and two Edelbrock four barrels dumping into a Dyers 8-71 blower. Emanuel says it makes 700-900 horsepower. His vague figures are understandable, he just knows it makes gobs of power. 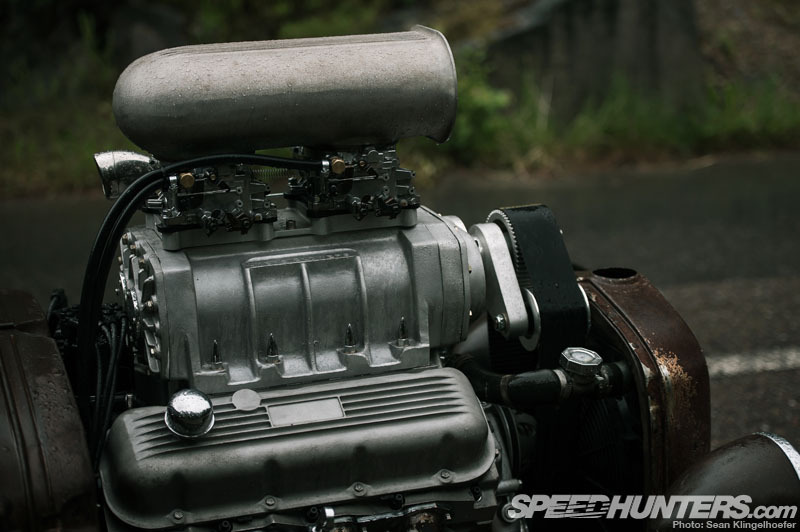 Now take a look at the scale of the engine relative to the rest of the car. 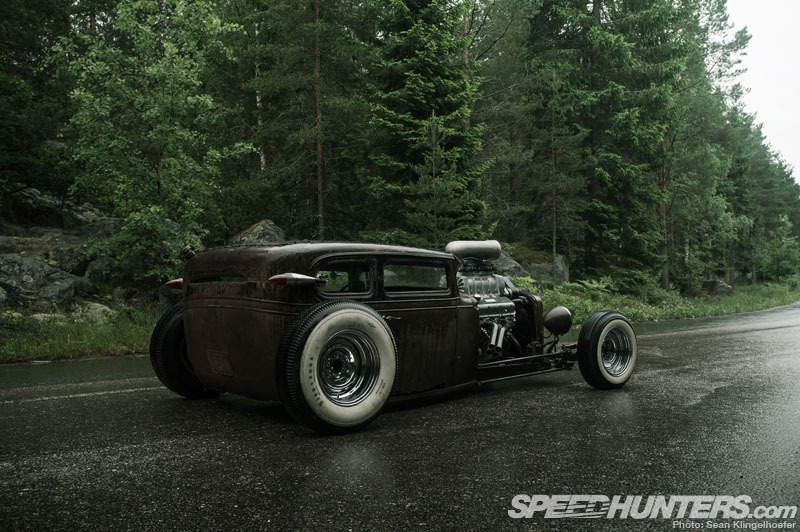 Hot rods are all about proportion, and everything counts toward the finished product. 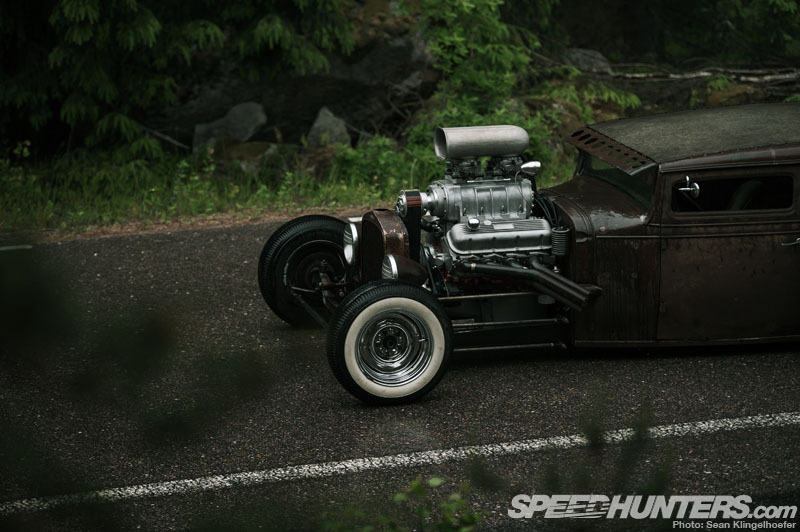 I’ve talked before about how significant stance is in building a hot rod, and here we can see why. 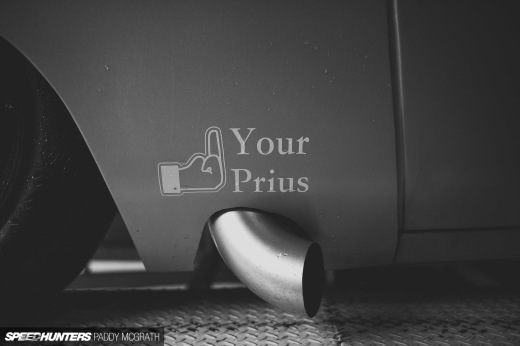 There’s a lot more to it than just ride height and wheel fitment. 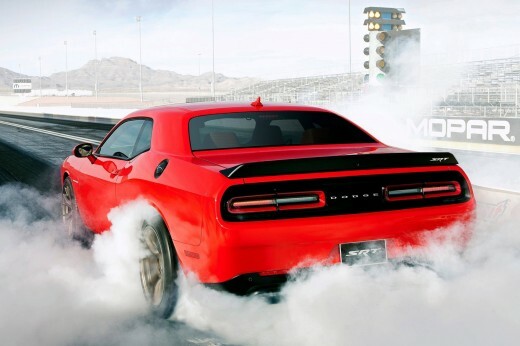 The proportion of the body, its proximity to the wheels, and even the positioning of the headlights can have a huge effect on the feeling a car exudes. 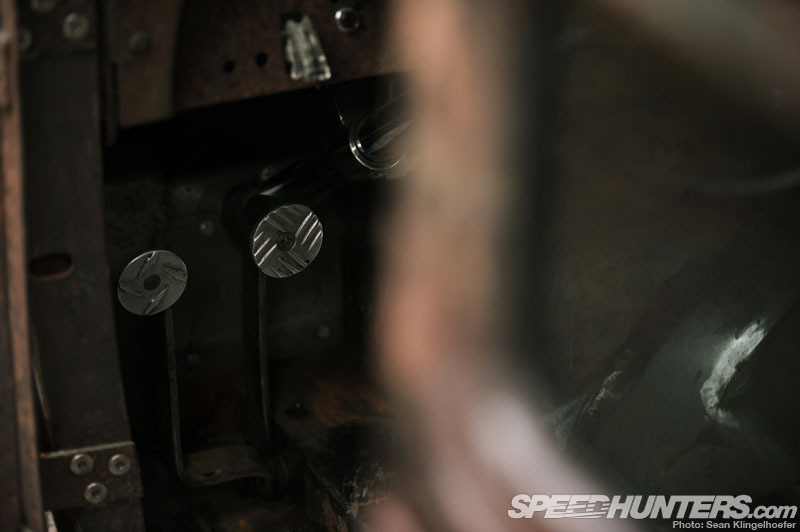 Track width and wheelbase are important to the stance too, as they dictate the footprint of the machine. … which is why you don’t see the chassis from the side at all. Couple the channel job with a chopped top and you can see how Rusty Demon gets its stance. 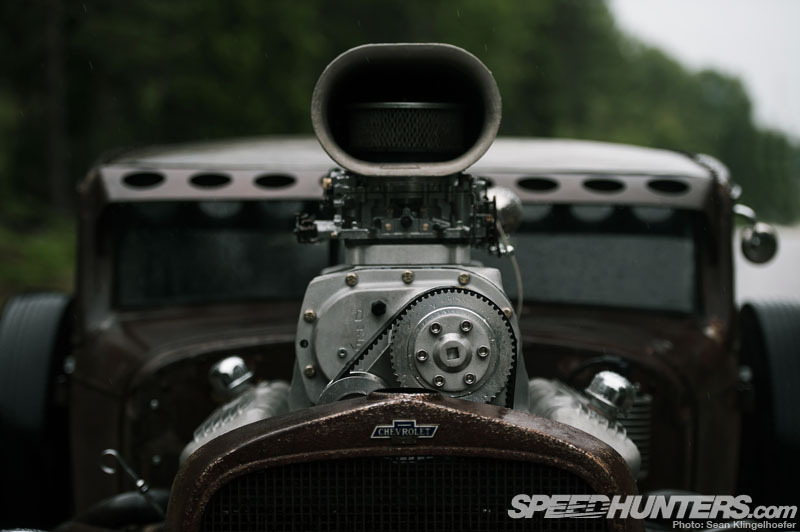 So we’ve looked at the giant engine, the track and wheelbase, the chop and channel, but there’s one more feature that makes this hot rod’s stance – a shortened body. 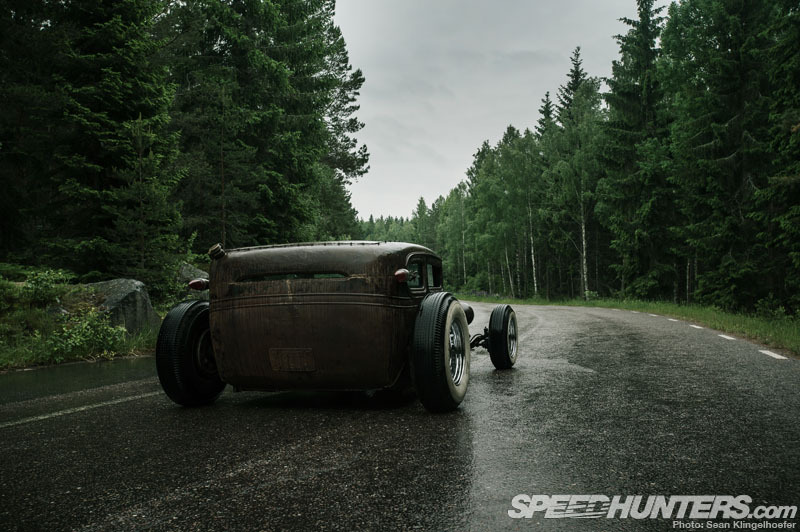 The car was originally a four-door, but the rear doors were so rotten from sitting in the swamp that Emanuel threw them out and truncated the body-shell accordingly. From the rear you can appreciate the newly proportioned body and also notice how the chrome steelies provide contrast against the rusted finish. Note the difference in wheel and tire size from front to back too, even the whitewalls are different widths. Show car guys go to great lengths to keep their whitewalls clean, but I suppose on a build like this a little grime actually fits in better. New tires on this car would be the equivalent of looking like a nerd in your new white sneakers until they wear in. 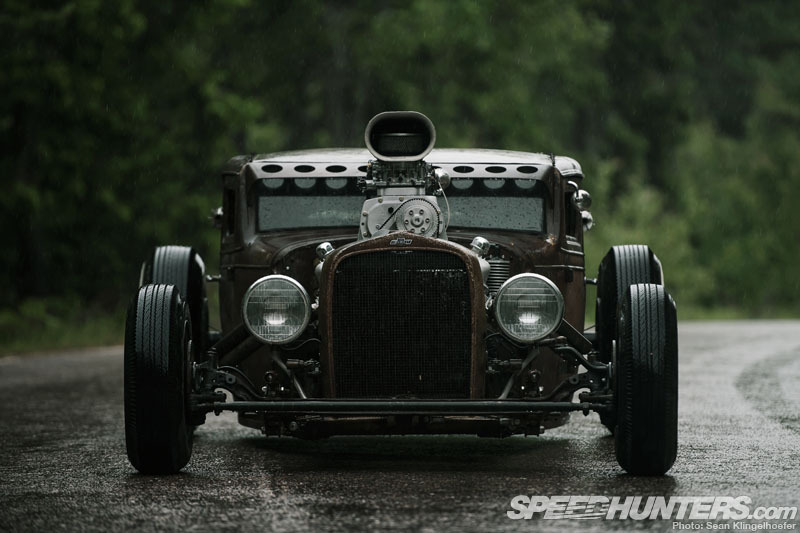 Here’s what sets Emanuel’s builds apart from your typical rat rod. 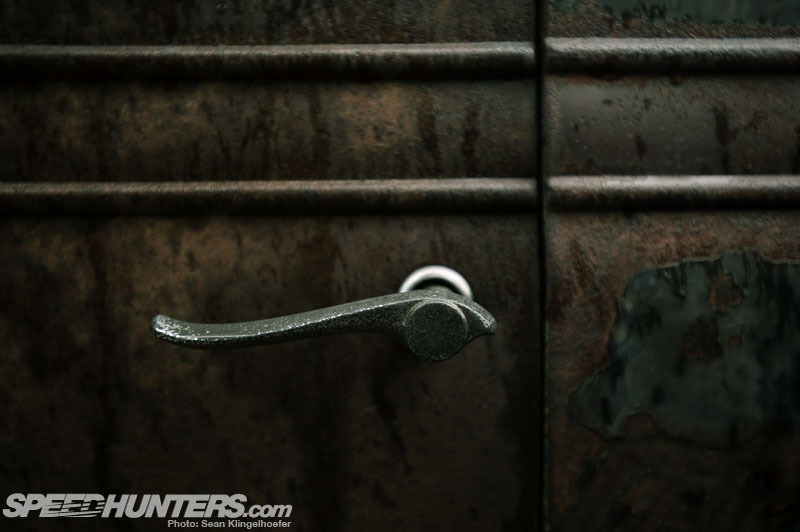 He might repurpose found materials, but it’s not in a street-sign-as-floorboard kind of way. No, his moves are clever and premeditated. Look at the layout of the treadplate he used for the pedals and you’ll see what I mean. The steering wheel is another example. 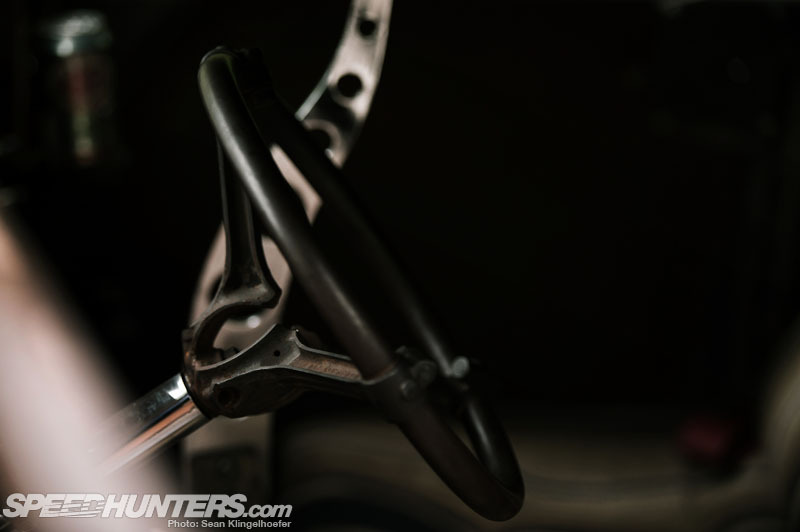 Three connecting rods form the spokes, and the end result is art. There’s a difference between sticking crap together and being thoughtful about it. 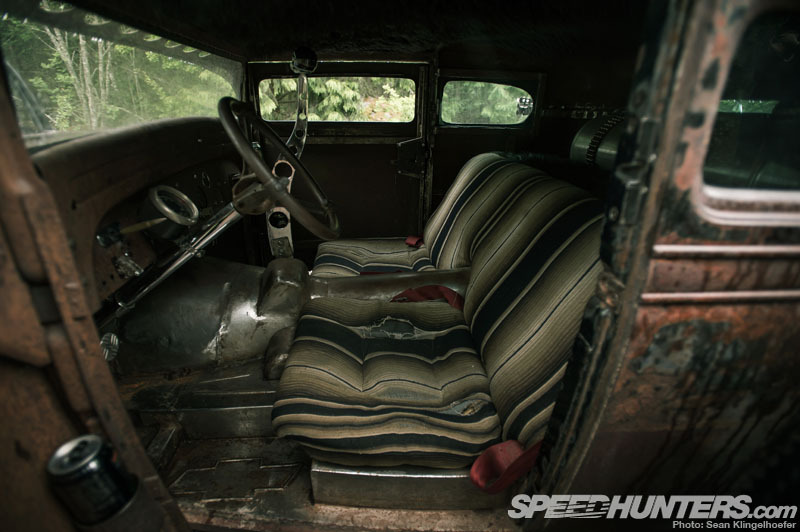 The interior’s pretty sparse, but not nearly as bare as Emanuel’s diesel-powered ’31. At least the seats have cushions this time. 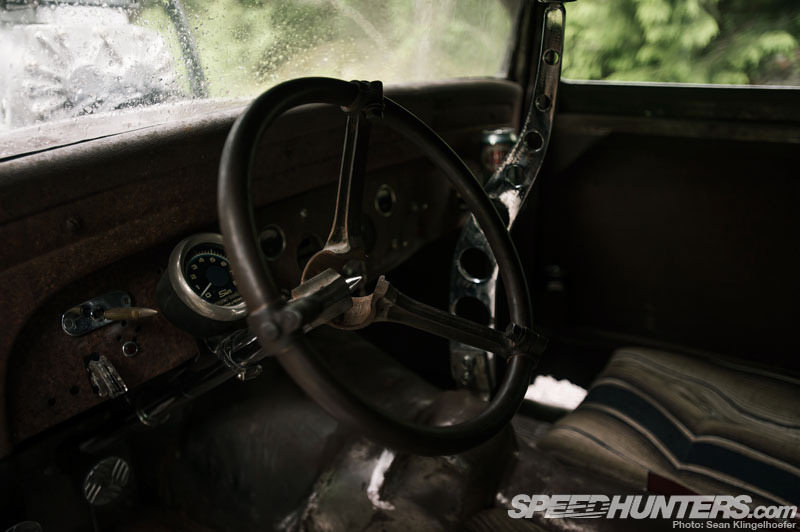 Only the most critical instruments were left in the dash, with the main feature being a vintage Sun tach mounted to the column. 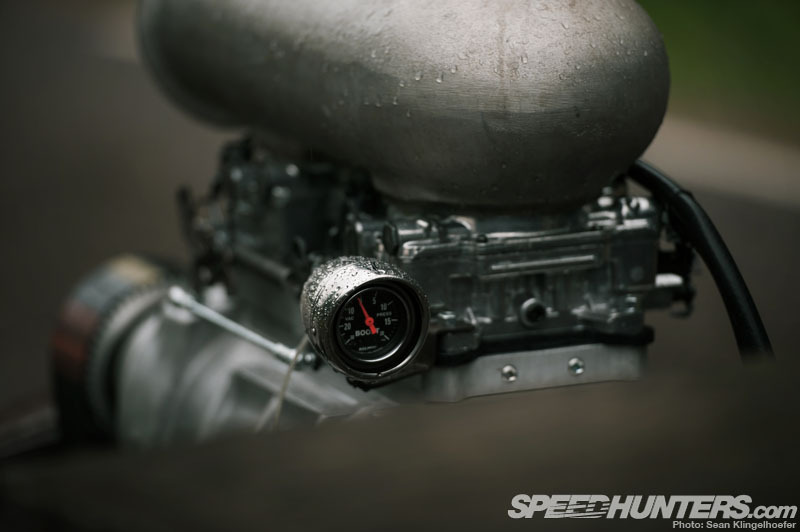 Looking out the windshield, we can see a boost gauge mounted in a vintage bicycle headlight. 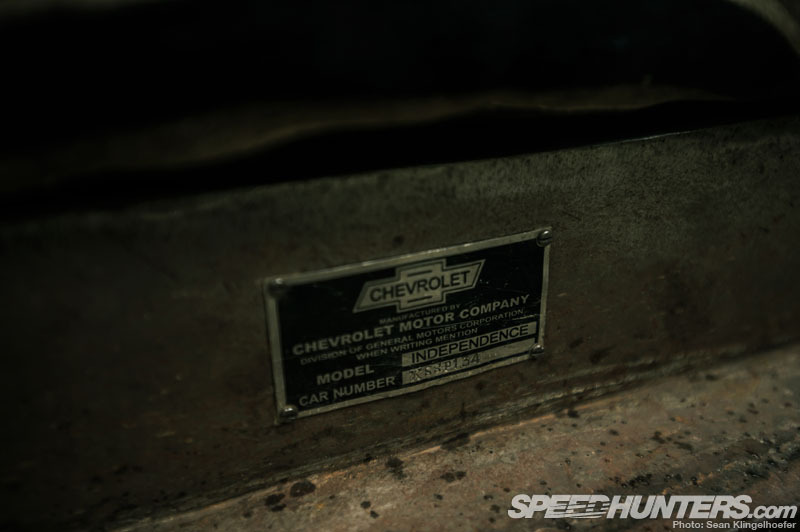 Of course the Chevrolet body tag made its way back into the car, because Emanuel Sandén isn’t much of a Ford guy. I’m told somewhere on the car there’s an expletive about Ford, although you won’t find any dirty words in this story. I think we’ve seen enough of Emanuel’s work by now to know that he’s no hack. He just seems to have a unique vision for each build, plus the skills and determination to crank them out – a talented individual to be sure.